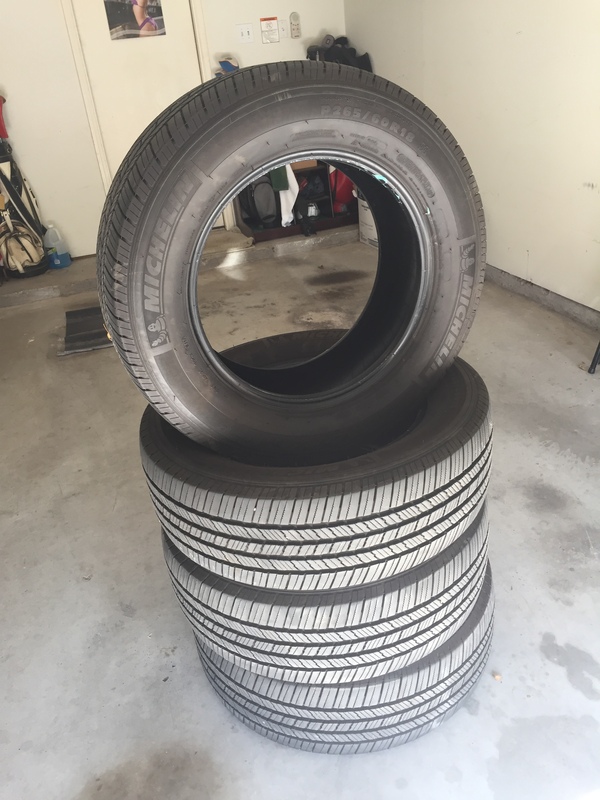 Nearly new set of 4 Michelin P265/60 R18. 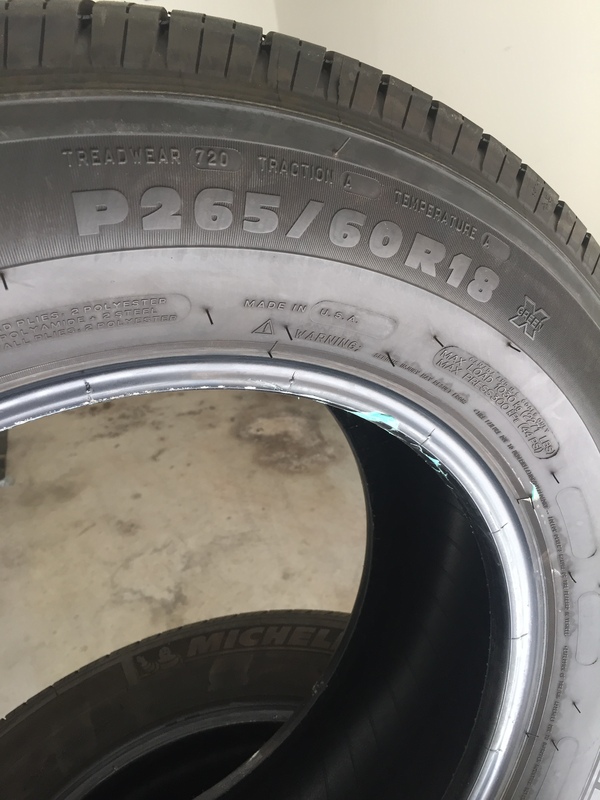 Under 5K miles on these before I put bigger tires on my Tacoma. Excellent condition; no damage, no repairs. Please take them off my hands, $280 OBO.